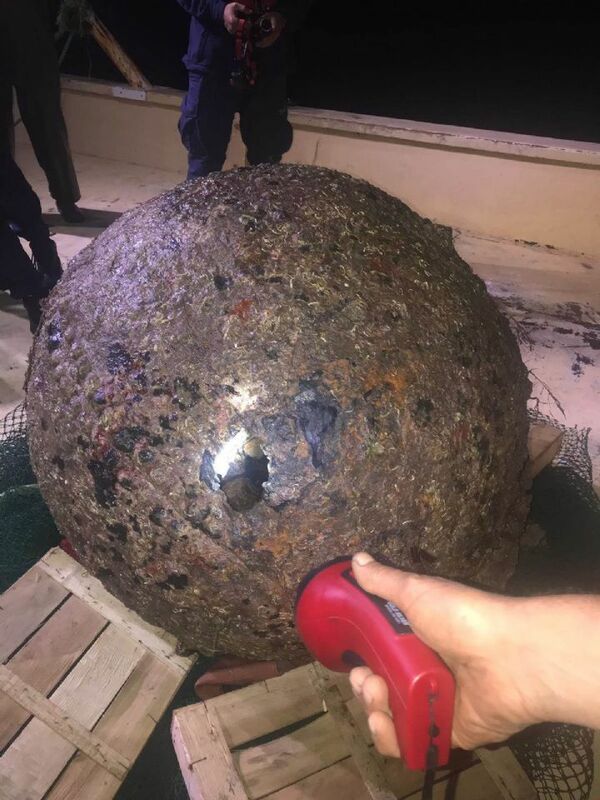 This week a fishing boat operating off the coast of Ayvalık, Balıkesir found a mine in its net. They have informed the Coast Guard and the harbor master. The old and probably inert mine was brought to the shore on board. A Turkish Navy EOD team was called by the Coast Gaurd. The EOD team brought the mine to an inhabited area and destroyed it by detonation. The mine is believed to be from 1. World War era. Every year fishermen return with such deadly catch and provide the EOD teams always an opportunity for action. 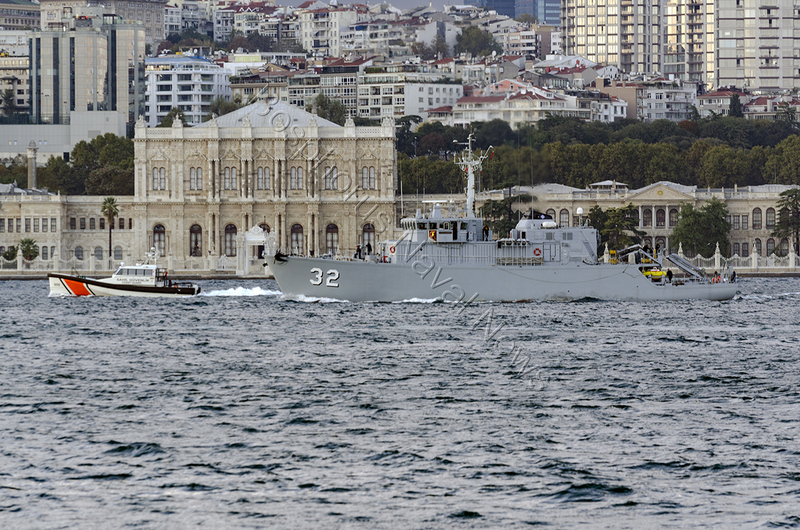 M-270 TCG Akçay, seen here passing northbound through Istanbul 16 days ago. 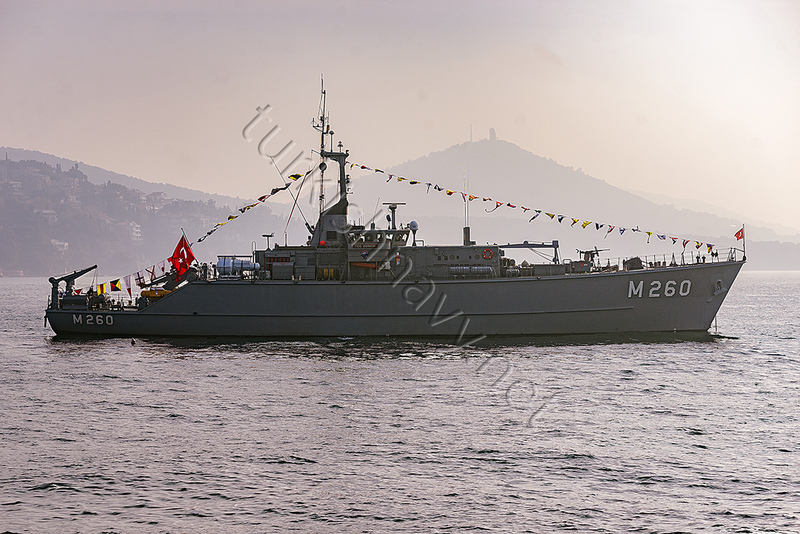 Aydın class minehunter TCG Akçay has discovered a mine probably a relic of Second World War, as she was conducting training operations with SNMCMG-2 off the coast of Romania. 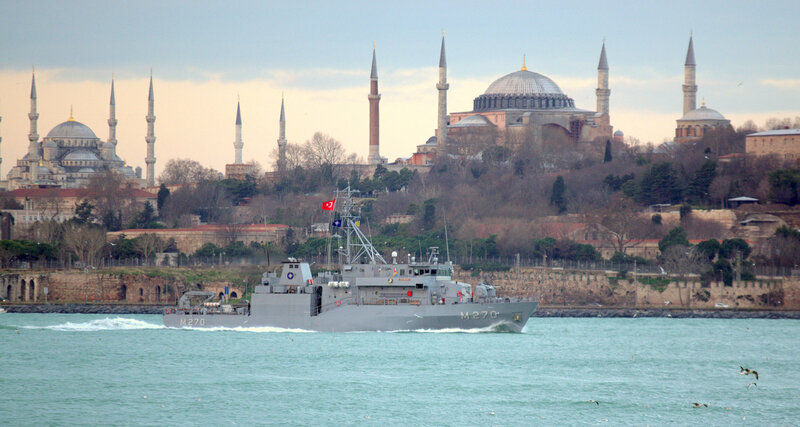 The NATO task force made its northbound passage through Turkish Straits 16 days ago. The mine was discovered at 8 A.M. local time while TCG AKÇAY, under the command of Turkish Navy Lieutenant Commander Abdulla Yildiz, was using her mine hunting sonar to scan the sea bed and the water below her. The crew detected an object, which was thought to be a potential mine. 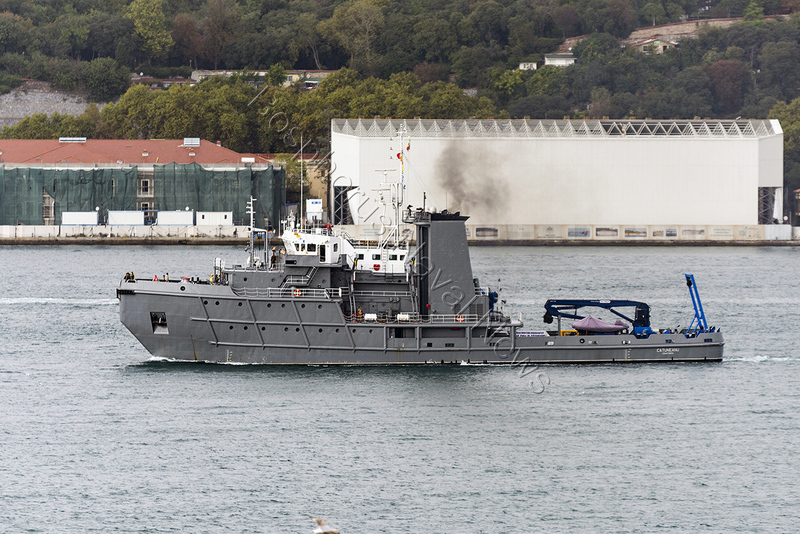 TCG AKÇAY then used her Remote Controlled Mine Discovery Vehicle (RCMDV) to investigate the possible mine further. 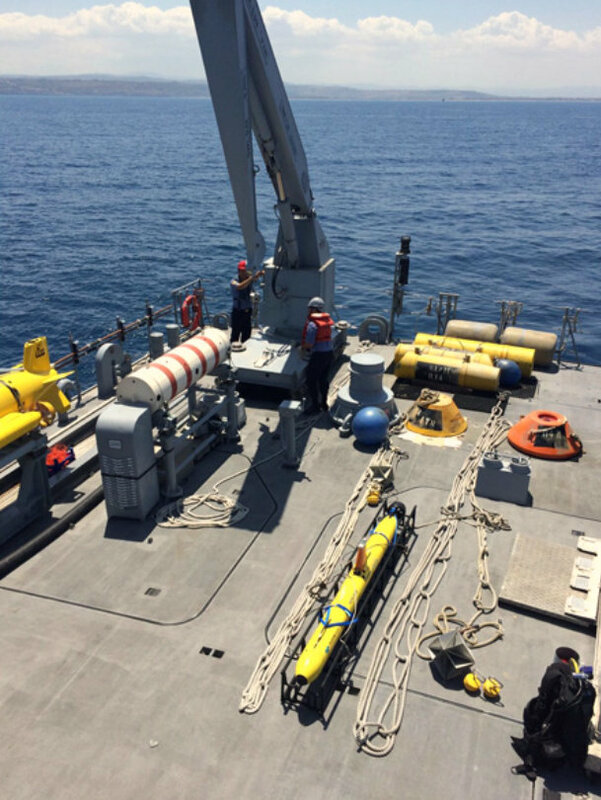 The RCMDV is remotely controlled from the mine hunter and used to identify mine-like objects using an onboard camera. If necessary, the RCMDV can also lay a 100kg explosive charge to destroy the mine. 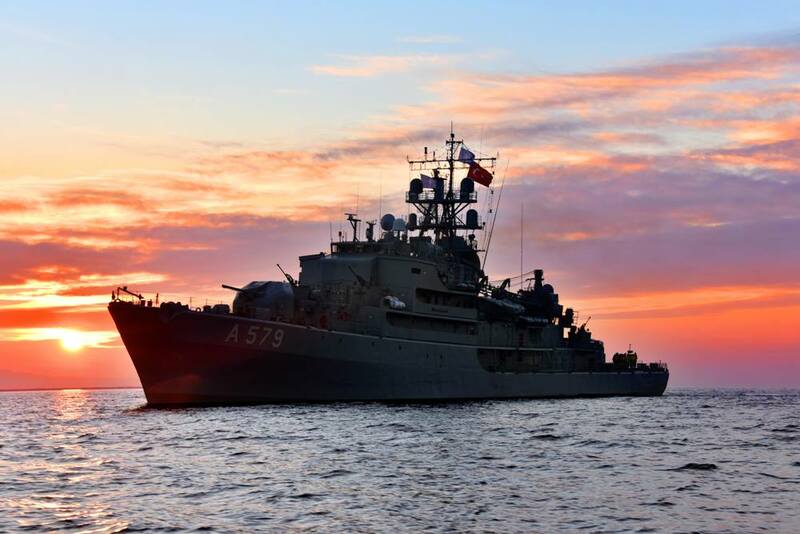 SNMCMG2 was conducting mine countermeasure training with the Romanian Navy just off the Romanian coast near Constanta when the historic ordinance was discovered. The area in question is shown on maritime charts as a formally mined area and this means that this is likely to be an historic mine. The mine sits on the seabed at approximately 40 metres depth. Images show that the mine is still attached to the ‘sinker’ or weight, which means that it likely didn’t deploy correctly when it was laid. Normally these mines were suspended mid water, attached to the weight on the seabed. Romanian mine sweeper ROS Sub Lieutenant Alexandru Axente will take part in the Nusret 2016 mine warfare exercise. This photo is from her spring deployment. Each year Turkish Navy organises a mine warfare exercise named after the famous minelayer Nusret. This year the exercise will be held between 25 November and 4 December 2016, in İzmir Bay. 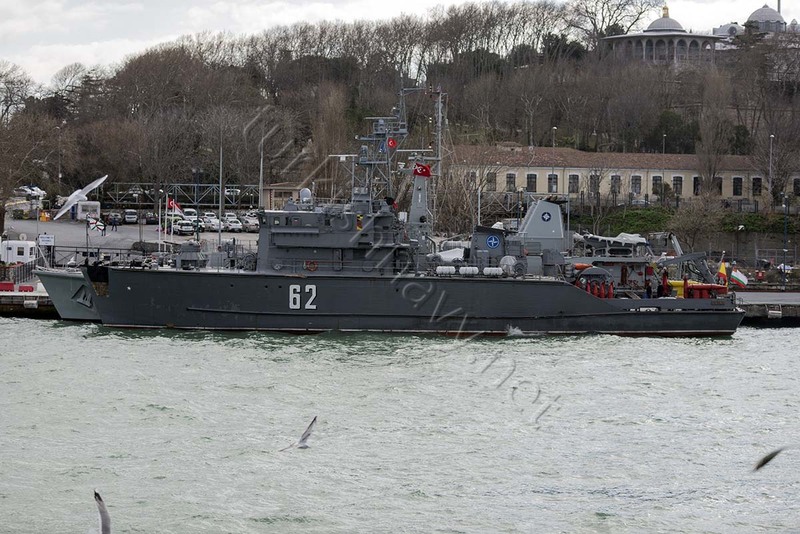 Turkish Armed Forces will take part with 7 mine hunters, one mine layer / command and control ship, one corvette, one patrol boat, one mine retriever, 3 Coast Guard vessels, one naval EOD team, one helicopter, 2 F-16C fighters and one C-130 cargo plane. 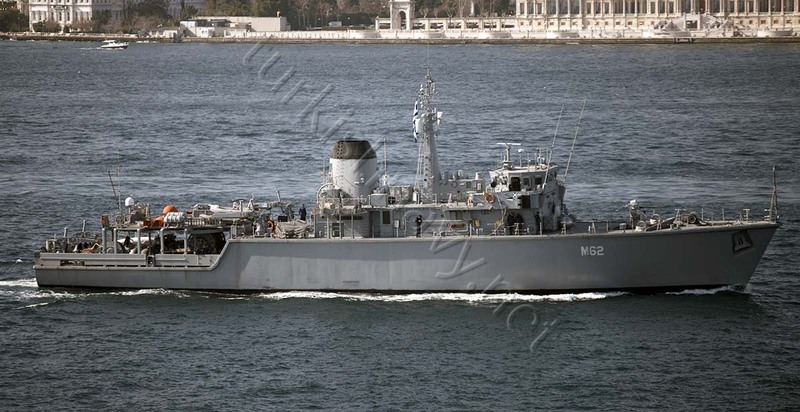 Bulgaria, Germany, Greece, Romania and Spain will send one mine warfare ship. Belgium will take part with one autonomous underwater vehicle and its crew. Greece and Romania will each deploy one EOD team as well. The ships of the Standing NATO Mine Countermeasures Group 2 in one photo. 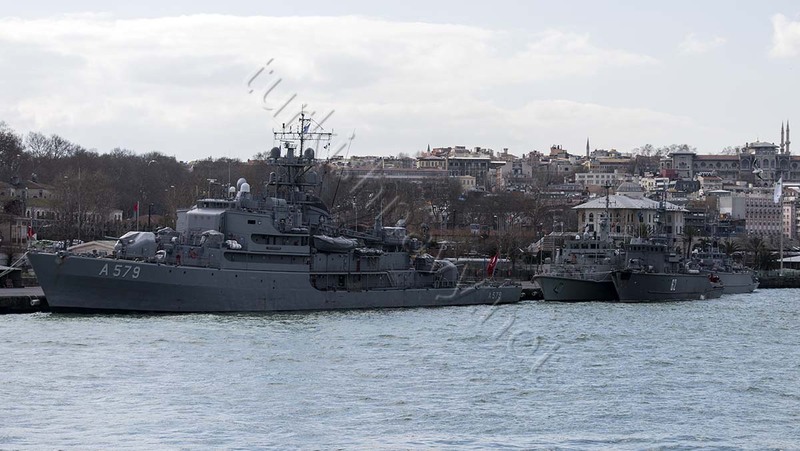 From left to right: A-579 TCG Cezayirli Gazi Hasan Paşa, M-33 ESPS Tambre (inside), 62 BGS Shkval, M-261 TCG Edremit. 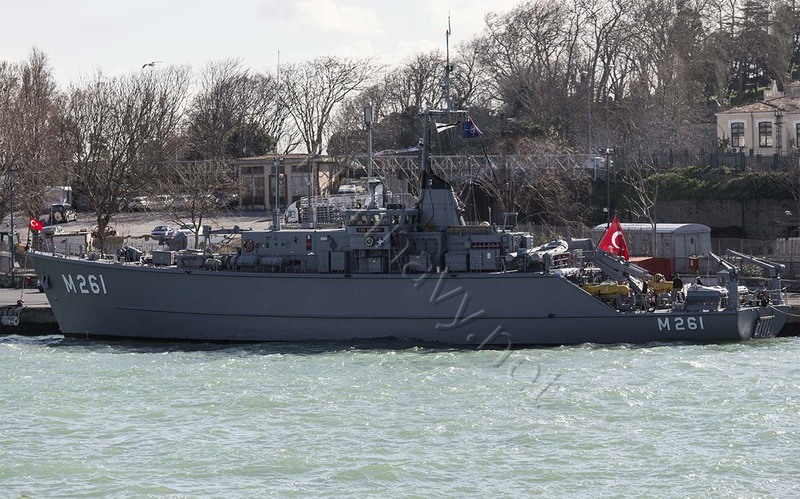 Turkish led NATO mine warfare task force Standing NATO Mine Countermeasures Group 2 arrived in Istanbul for a port visit on 5th February 2016. The last time when the SNMCMG-2 visit the town was in July 2014. 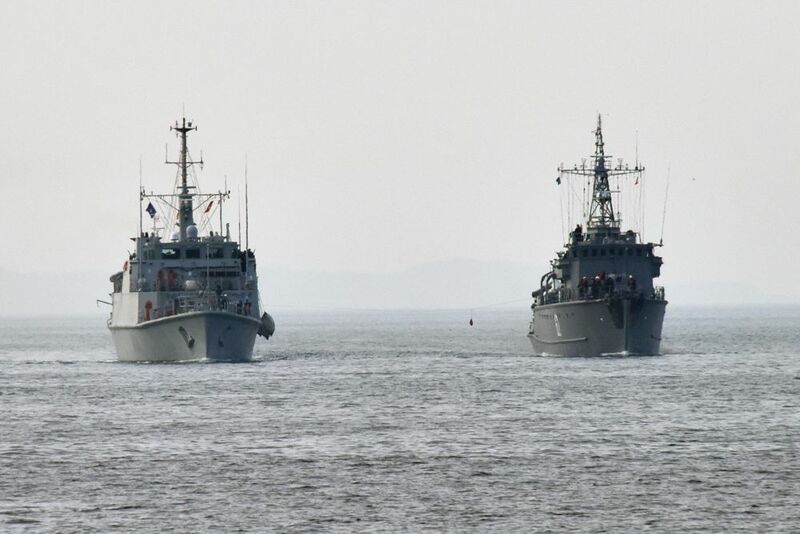 The task force spend the previous week in Marmara Sea practising mine sweeping and hunting operations. Duration of the port visit in Istanbul was not disclosed. 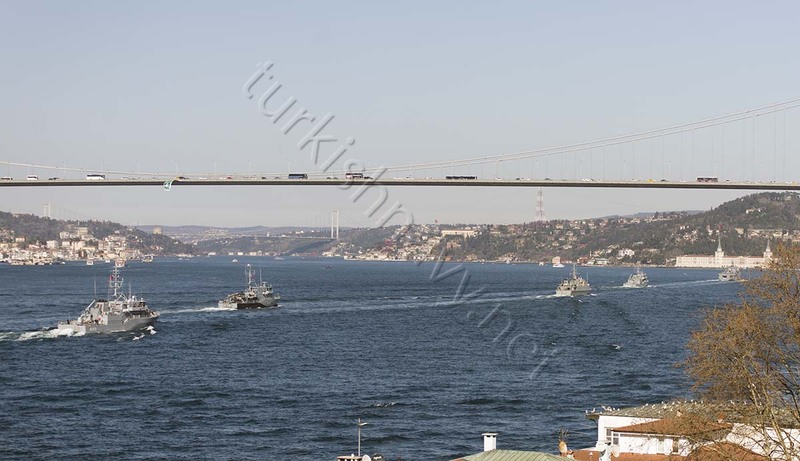 But presumably the task force will leave Istanbul on 8th February or on 9th February latest and will sail to the Black Sea. The Romanian MoD announced that their mine sweeper 30 ROS Sub Lieutenant Alexandru Axente will join the task force. Since this mine sweeper is not present in Istanbul I believe she will participate when the task force is in the Black Sea. 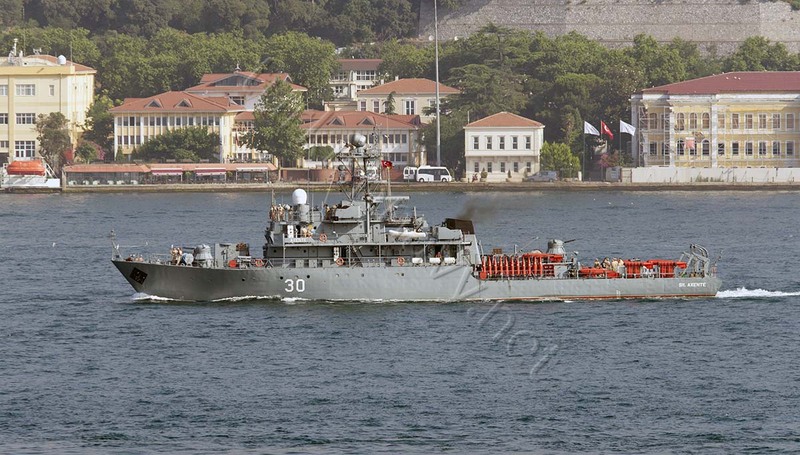 The Spanish mine hunter is the only non Black Sea nation warship of the task force. Her presence in the Black Sea is subject to the rules of Montreux Convention. The convention limits the duration of stay of non Black Sea nation warships to 21 days.